Making a powerful comeback, Maggi Noodles will now roll out its Masala version of the popular noodles brand. Nestle India\'s most popular brand will not be available in the eight states that had banned its sale. Making a powerful comeback, Maggi Noodles will now roll out its Masala version of the popular noodles brand. Nestle India's most popular brand will not be available in the eight states that had banned its sale. "Most states do not have a ban on sale of Maggi Noodles. For states where specific directions are required, we are engaging with them," a company statement said. Nestle India has partnered with Snapdeal to roll out online offers. The company is presently manufacturing Maggi noodles at three locations namely Nanjangud ( Karnataka), Moga ( Punjab) and Bicholim (Goa). Nestle India says that the company is in the process to obtain directions for commencing manufacture in Himachal Pradesh and Uttarakhand. 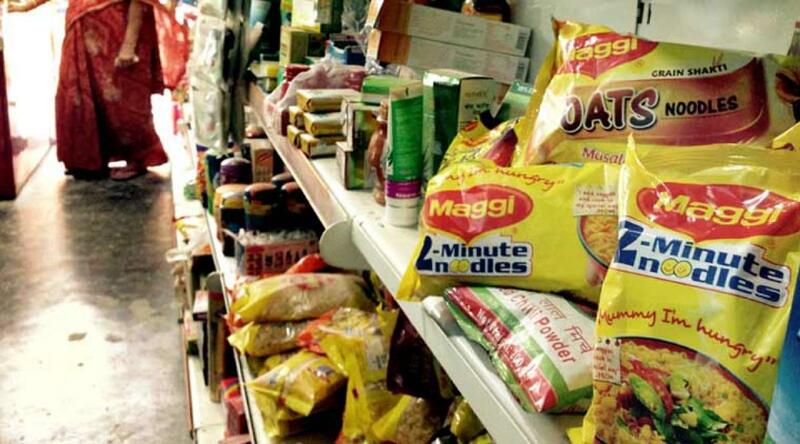 Nestle India's September quarter was severely hit by absence of its popular brand Maggi noodles. Its Q3 net profit slumped 60 percent to Rs. 124.2 crore from Rs. 311.3 crore in the corresponding quarter last fiscal. During the period, net sales fell 32.1 percent to Rs. 1736.2 crore (year-on-year) largely due to the impact of Maggi noodles. The immediate affect took a toll on the stock and Nestle India was quoting at Rs. 6,200 up Rs. 28.15 or 0.46 percent. The 52-week high of the share was Rs. 7,499.95 and the 52-week low was Rs. 5,499.